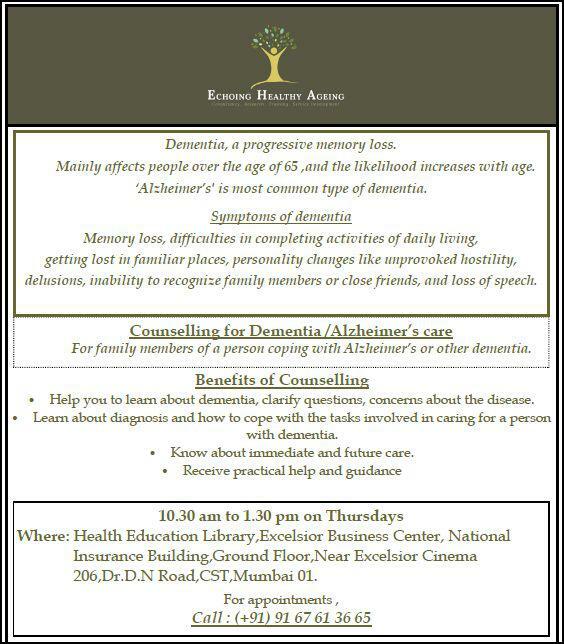 Alzheimer's Disease in India: Echoing Healthy Ageing, Counselling, Mumbai. 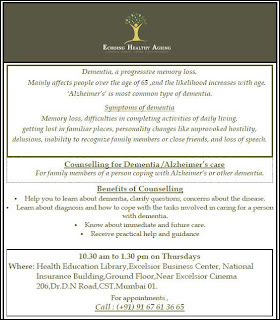 Counselling for Dementia/Alzheimer's care: "Opportunity to talk through emotional, practical and family issues relating to Dementia. Specialist one to one counselling service for people with dementia, family members and carers.